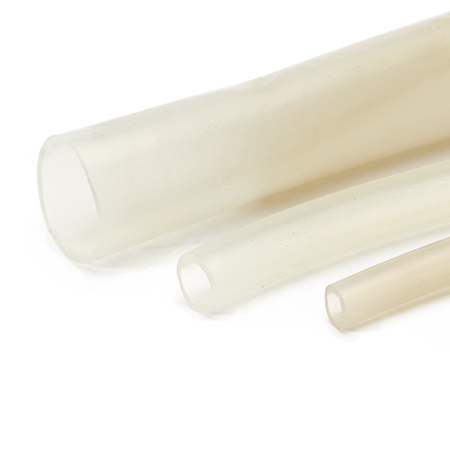 Our Silicone Tubing (ST) product line is ideal for masking off irregular geometries, long protrusions or as a substitute for short runs. 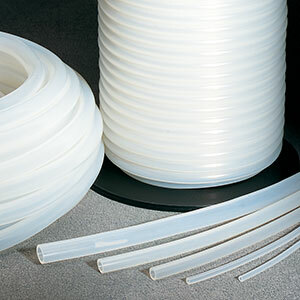 The versatile nature of the tubing allows it to fit over extrusions, threaded studs, PEMS and dowels, as well as be used as a plug for tapped holes, irregular contours and threaded holes. Our high temperature silicone is specially formulated to ensure reusability and economy during masking. Used as a sleeve over threaded studs, dowels, and protrusions. Used as a flexible mask for round channels and cut outs. 0.109 ID X 0.063" wall thickn"
0.125 ID X 0.063" wall thickn"
0.140 ID X 0.063" wall thickn"
0.156 ID X 0.063" wall thickn"
0.203 ID X 0.063" wall thickn"
0.218 ID X 0.063" wall thickn"
0.234 ID X 0.063" wall thickn"
0.250 ID X 0.063" wall thickn"
0.281 ID X 0.063" wall thickn"
0.312 ID X 0.063" wall thickn"
0.343 ID X 0.063" wall thickn"
0.375 ID X 0.063" wall thickn"
0.406 ID X 0.063" wall thickn"
0.437 ID X 0.063" wall thickn"
0.500 ID X 0.063" wall thickn"
0.625 ID X 0.063" wall thickn"
0.750 ID X 0.063" wall thickn"
1.000 ID X 0.063" wall thickn"
1.125 ID X 0.063" wall thickn"
1.250 ID X 0.063" wall thickn"
1.375 ID X 0.063" wall thickn"
1.500 ID X 0.063" wall thickn"
1.625 ID X 0.063" wall thickn"
1.750 ID X 0.063" wall thickn"
1.875 ID X 0.063" wall thickn"
2.000 ID X 0.063" wall thickn"